The most awaited and expected contest - Google Code In 2018 is going to begin on track today within 10 hours of time. We spent more than one month for the mentor selections process and tasks creations. Now the time to deal with the kids who are waiting to rock by their performances !! I’m very excited to see the kids working on the tasks and I’m eagerly waiting to mentor them. We have 23 mentors right now for the contest, and we expect everyone to be active during the contest and give your maximum support to mentor the students. We have published about 60 tasks right now, and altogether there will be 200+ available instances right now. We will work on creating more tasks, and publish those ones by one in the coming weeks. Happy hunting and playing !! Great to see the work you’re doing for GCI @suthagar23, keep it up! We successfully completed one week of time for the Google Code-in 2018. 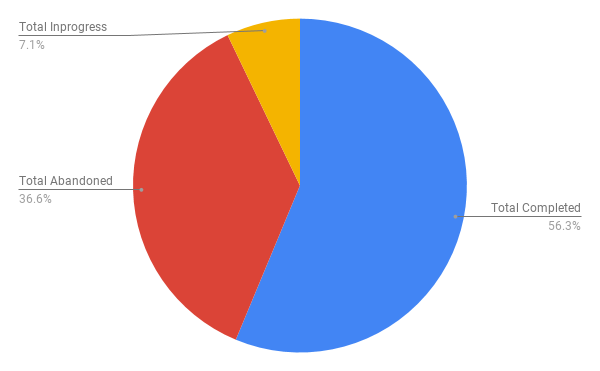 I just came up with some statistics for last week of Google Code-in progress. Compared to the last year, we are able to get more students at the beginning of the contest. Unfortunately we need to work with some students who copied the materials from the internet and was not aware of the plagiarism issues. We worked with them to clarify the issues of coping the online materials and warn them also. Most students work on the beginner tasks, and they were able to complete that tasks within a given time period. We were able to provide some knowledge about Java, Python, I/O, exception handling, use case analysis, threads, multi-threading, documentation, Q/A, outreach during the first-week period. We planned to add more tasks during these days for the next weeks. We need to ensure that, the mentors are active during the contest and the submissions will be reviewed within 36hrs of time from the submission time. Need to handle some specific ways to grant the access to Wiki and JIRA for the students who need to work on those. 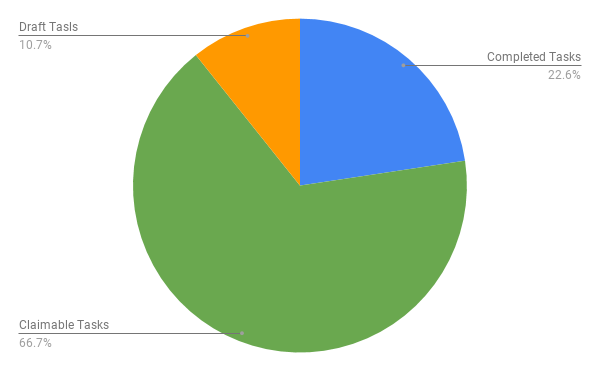 I can strongly say that the OpenMRS community put a great support during the first week of time, and we were able to catch more students for the work. If you have any ideas or plans to improve the GCI-OpenMRS, feel free to contact us or post here for the discussions. Thank you so much @suthagar23 for giving us this awesome update! As for the maximum allowed review period, isn’t it supposed to be 36hrs instead of 48hrs? For those seeking access to the Wiki and JIRA, there should not be any problem with it because myself and @jwnasambu are giving this special attention! We successfully completed three weeks of time for the Google Code-in 2018. 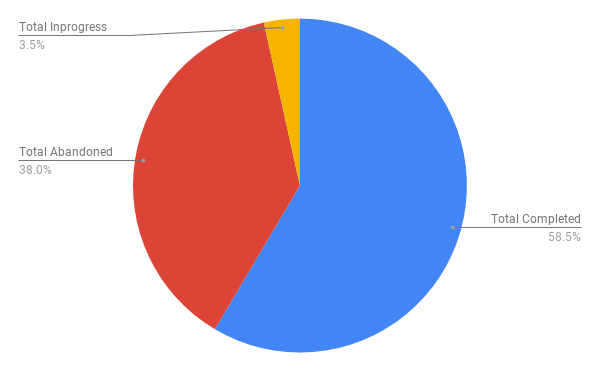 I just came up with some statistics for last week of Google Code-in progress. 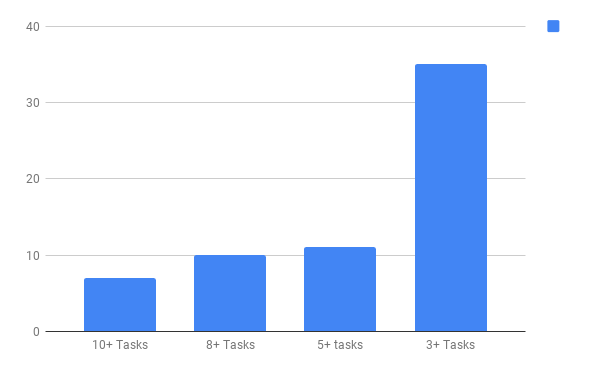 We have about 63+ students who claimed more than 3 tasks during this three week of time. Some students want to get the reviews quickly (it may reduce the time to wait for another task in their side - we need to accept this situation also ). So we need to plan and assign potential mentors for quick reviews. Have some plans to add more tasks which can give more knowledge of all type of tasks to the students. We don’t encourage students to contact any of our mentors personally (which may have your personal information). So we request you to use common mediums to chat with mentors rather than moving for private conversations. Don’t add any unnecessary comments to the GCI dashboard after submitting your work there. It will change your last modified time, and we couldn’t catch you immediately since we will not provide much priority for your work. Disclaimer : We already have dedicated IRC, Telegram channels for the immediate help from the mentors. So we will not encourage students to create talk threads to request for the task reviews . It may reduce the impact on other important treads on OpenMRS talk. Thanks for this update and keep us updated on those tasks whose waiting for review period is about to reach the maximum allowed. Really pumped up and hyped for what is to come. Looking forward to new tasks and lesser review time . All in all you guys are doing a great job. Keep it up. 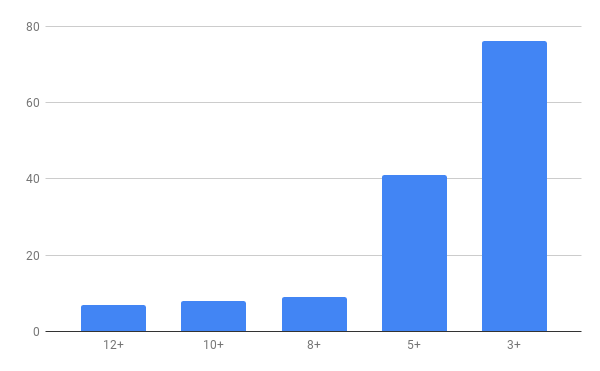 We successfully completed five weeks of time for the Google Code-in 2018. 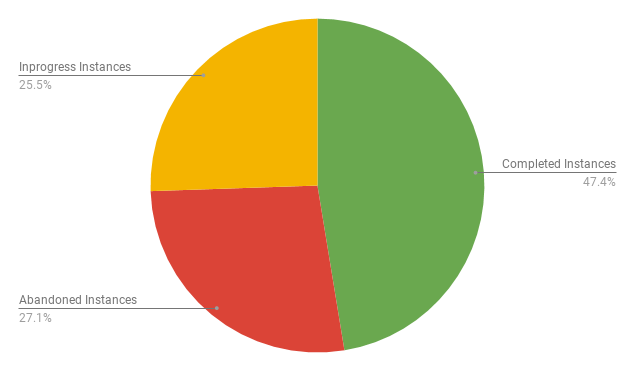 I just came up with some statistics for last weeks of Google Code-in progress. We have about 76+ students who claimed more than 3 tasks and 41+ students who claimed more than 5 tasks during this five week of time. ! Added new tasks from different platforms (Java and Angular). Initiated an Idea of GCI Website for 2018. We have added some beginning tasks for this project and reviewing those tasks as a very first step. We planned to create more tasks on this GCI website development which can give a real experience to students. Plan to create a criteria for winner selection, and it will be out in this talk forum quickly. So students can work to get their chance to be a winner in the comming two weeks. Thanks for the update its really encouraging. Thanks @suthagar23 and team. This is super awesome! Thanks for the helpful tips for students! Thank you for the tips and statistics. We students are really enjoying contributing to OpenMRS.